“I think a lot of people come to me looking for a solution. No matter what it takes, I work very hard to find a solution to help my clients get into their home. 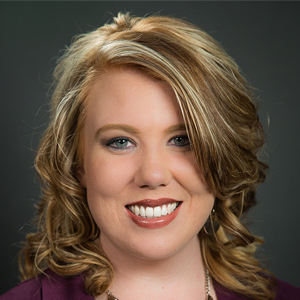 Being able to meet the needs of the clients I serve is most important to me.” – Stacy Sharpe. Stacy Sharpe enjoys working with challenging loans that others say can’t be done. As her customers can attest, she has the experience, determination, and willingness to prove they can be done. Stacy enjoys working with challenging loans that others say can’t be done. As her customers can attest, she has the experience, determination, and willingness to prove they can be done. Stacy is involved in children’s activities at her church. In addition, she is active in the Catawba Valley Association of Realtors. Stacy was such a pleasure. Stacy was very helpful and always available to answer my questions. She is a big reason I was able to get my wonderful house. Couldn't ask for a better team and mortgage banker. Stacy was a blessing and extremely knowledgeable. If it wasn't for her, we couldn't be in the house we are in. I would recommend her to anyone. So, thankful we found her. Brad S. and Sheila S.
Stuart B. and Andrea B.
Stacy is very professional and I had a very easy and time efficient process. Ms. Stacy Sharpe was great and without her I wouldn't get my loan qualified. Many thanks to her! Daniel C. and Teresa J.
Stacy was very professional and helpful with advice. She was always available when we had questions. Kyle T. and Lisa T.
Stacy was the best! She was very knowledgeable, answered any questions, and always followed up. Stacy always knew the exact status of our loan and we enjoyed working with her. Stacy's knowledge, know how, and ability to work with everyone inside and out is how our loan was able to close. Shawn H. and Janice H.
Stacy was helpful and professional! Gary G. and Patricia G.
Stacy was a great professional, knowledgeable and efficient. Stacy was a wonderful person to work with. She was very knowledgeable about the loan process and type that was best for me. She was efficient and all paperwork was completed in a timely manner. Stacy also stayed in contact with me throughout the entire process. She was a joy to work with and made this process much easier than I ever expected. Kevin T. and Christine T.
Stacy is very helpful and good at what she does. Brian B. and Sharon B.
Ms. Sharpe did an excellent job informing us and keeping us up to date throughout the loan process. Stacy was prompt and wonderful! Kenneth P. and Brandy P.
Stacy has been extremely helpful and was always there to answer questions, worked hard for us, and was always kind and professional. Daniel K. and Mi K.
Stacy was prompt and answered my questions. Stacy was very helpful and I couldn't have had a better experience. Stacy is amazing! I would recommend her first to all family and friends. David M. and Susan M.
Stacy Sharpe was the best mortgage banker I have ever dealt with. She is so professional, helpful, and friendly. Todd W. and Julie W.
Excellent customer service! Stacey was a joy to work with and she is a true professional and the process was smooth. Richard B. and Glenda B.
Stacy was a great mortgage banker and very friendly. She answered all questions, and kept in touch by email or text. Stacy was amazing. She was quick, close, and answered all my calls and questions. We would have been lost without Stacy's help! Bobby B. and Deborah M.
Stacy was very professional, informative, and helpful. Amazing! Stacy was great! Thank you so much for the help you have me. Richard B. and Melissa B.
I can't imagine recommending anyone other than Stacy! She is the friendliest, most knowledgeable person! Stacy was very expedient and available at all times. Stacy was great, making the whole process smooth as she was very knowledgeable. Stacy Sharpe was extremely helpful and processed everything very smoothly! Daniel B. and Kimberly B.
Stacy was wonderful and made our experience great. She answered all questions and was helpful through the entire process and we appreciate all her help. Stacy was very helpful, always available to answer any questions, and made the entire process easy and worry free. This home purchase was my second with Stacy. She is amazing and I would never use anyone else. Bradley K. and Brittany K.
We were amazed by how easy and quick everything was processed and we will definitely call Stacy again for any future needs. Thanks for making the purchase of our dream home a dream also.